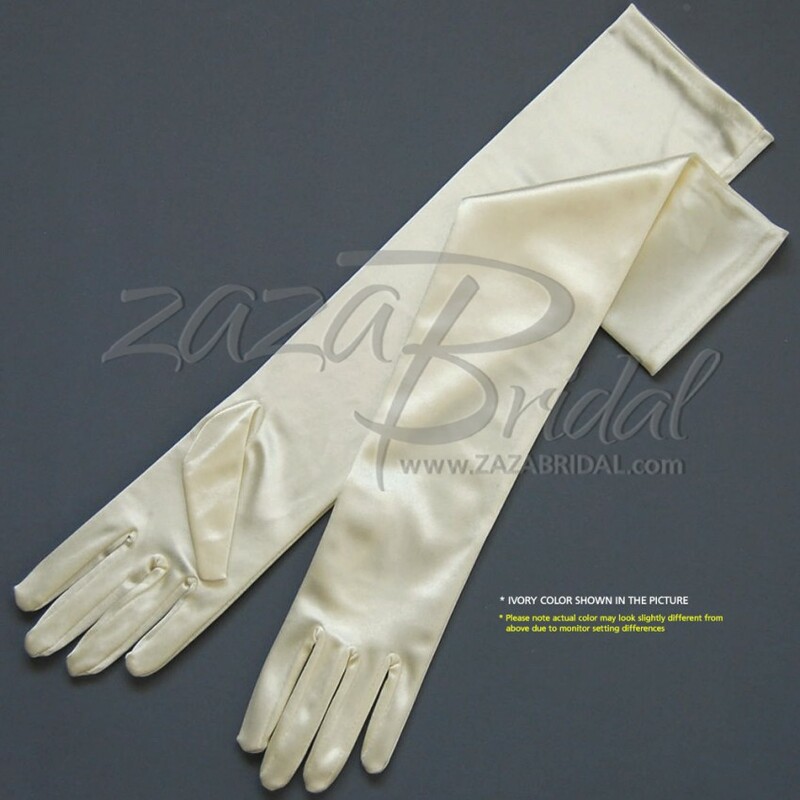 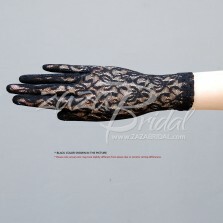 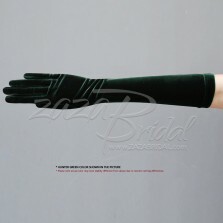 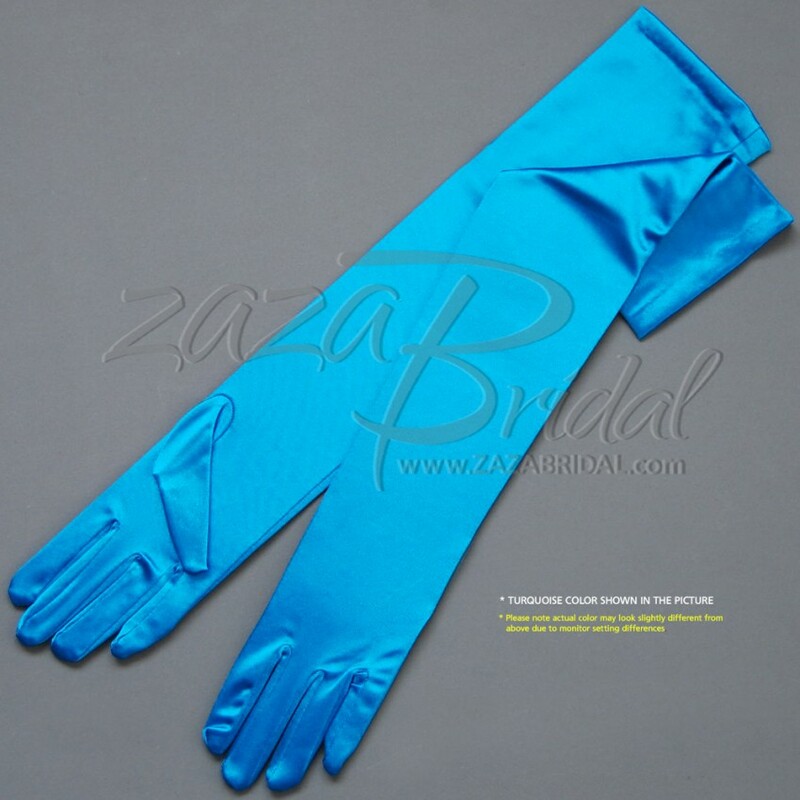 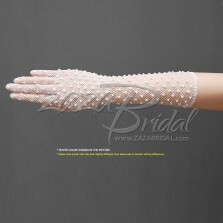 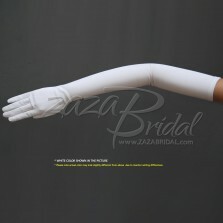 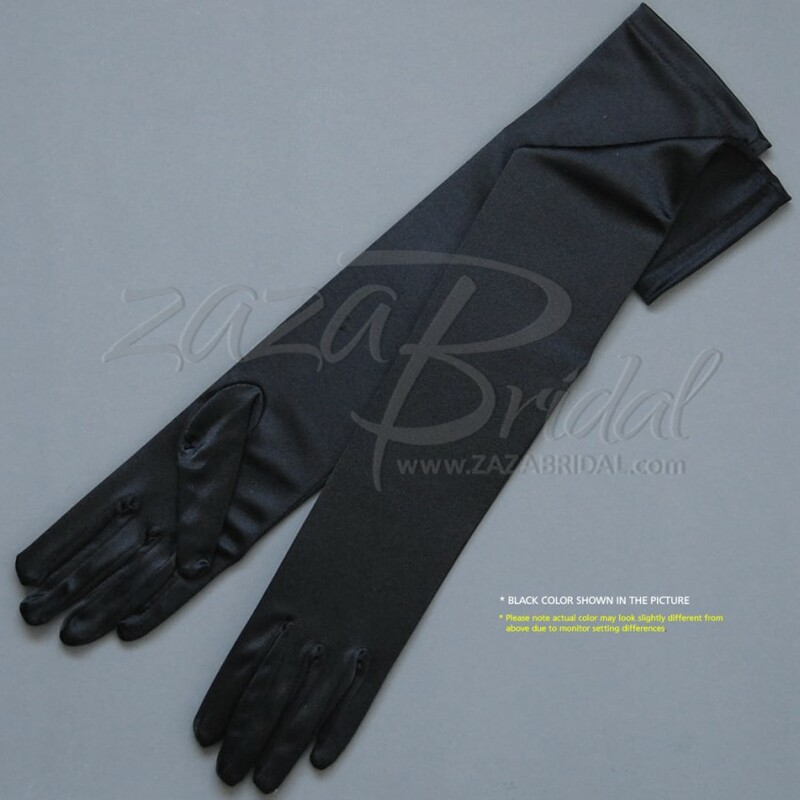 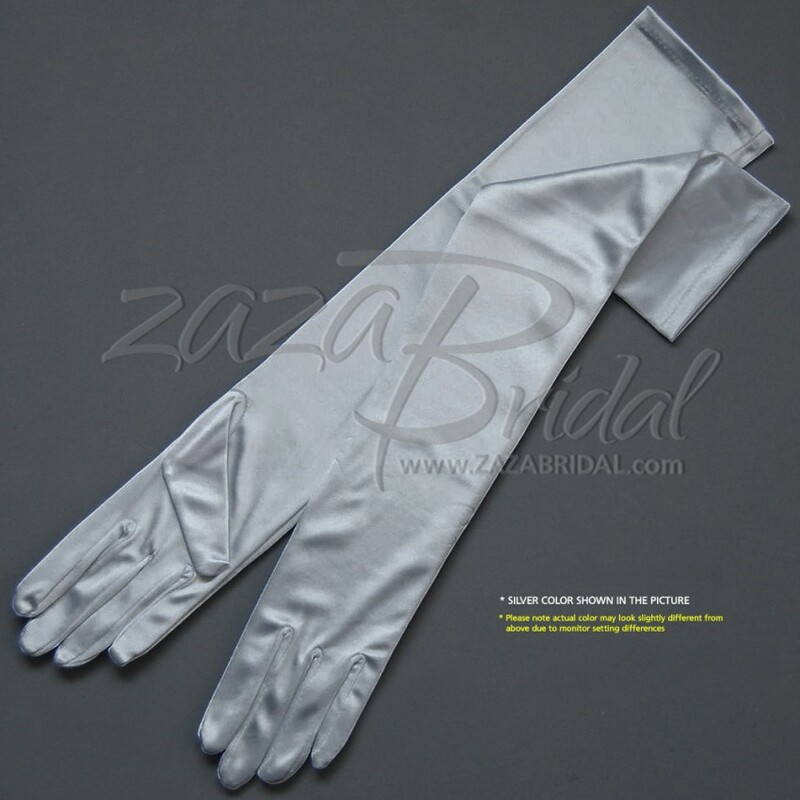 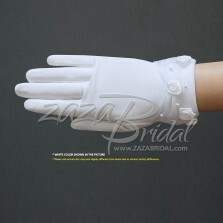 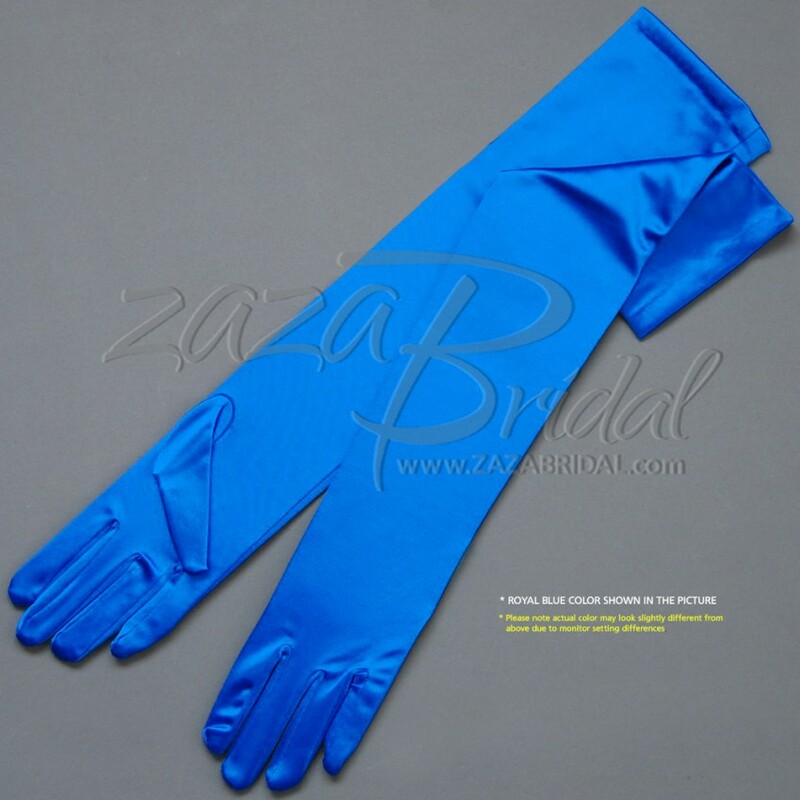 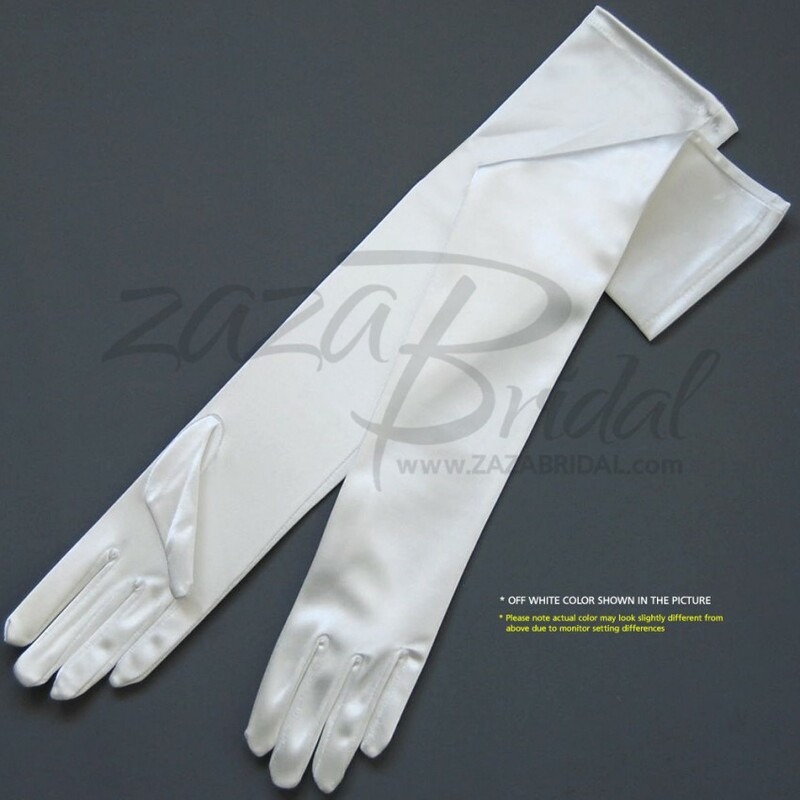 19.5" Long Shiny Stretch Satin Gloves Available in Many Colors. 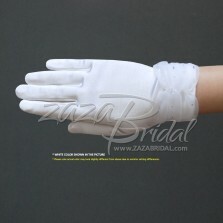 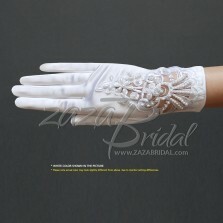 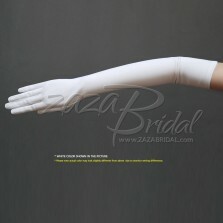 These womens Above-the-elbow Length(12BL) satin gloves are one size fits all because of the stretch quality. Satin gloves add elegance to your formal evening gowns and dresses. 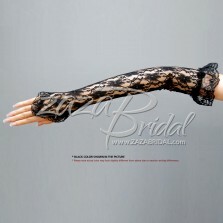 The perfect finishing touch to any evening look.